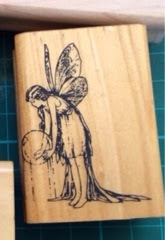 All this interest in Ida Rentoul Outhwaite stamps has started because yet another collector has contacted me through the Great Southern Stamp Sale, taking me up on the "if you don't ask, you don't get" offer. He (yes, he's a guy) collects Ida Rentoul Outhwaite items, and is finding that this prolific and popular artist is not that well represented. He'd really like all the "fairyland" stamps, which were made by Stamp World. I think they were in the range up to about 1996 to 2000, then were removed from the range (probably for a good reason, like a licensing agreement running out). So I did more research, this time going into the stamping archives (that is, my bookshelves). 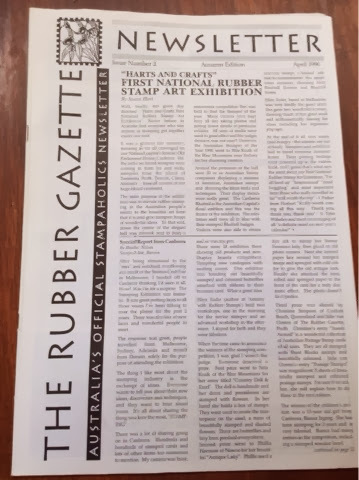 I have issue 2 of the Rubber Gazette, the fabulous stamping magazine (back at issue 2 it was calling itself a newsletter still). This one is from April 1996. And what do we find on the back cover? 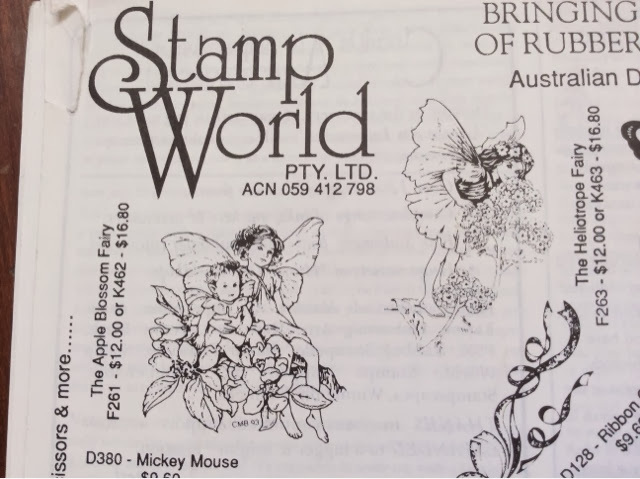 Stamp World was the regular advertiser on the back cover in those days. And here's a close up of two of the stamps we are looking for. And here's the one example from the Fairyland stamps that I have for sale. So, the search is on. If you have any of these Ida Rentoul Outhwaite stamps sitting unneeded in your collection, let me know, and we can redistribute them to people who really want them! 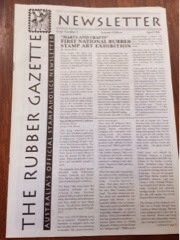 Oh, and here's the front cover of the second ever Rubber Gazette. The only one I don't have is number One. Anyone? Checked...thought I may have been able to help, but only have Rubber Gazette from Issue 3. Trip down memory lane.